After I installed the upgraded power plant, covered here, it was time to sort out the suspension. 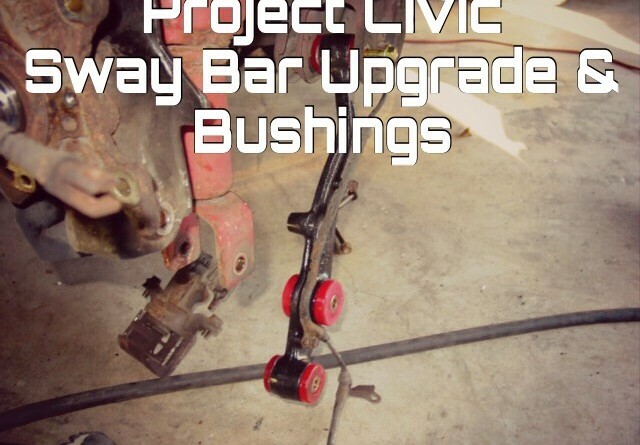 Since the Civic already had upgraded springs and shocks, I decided to focus on bushings and sway bars. 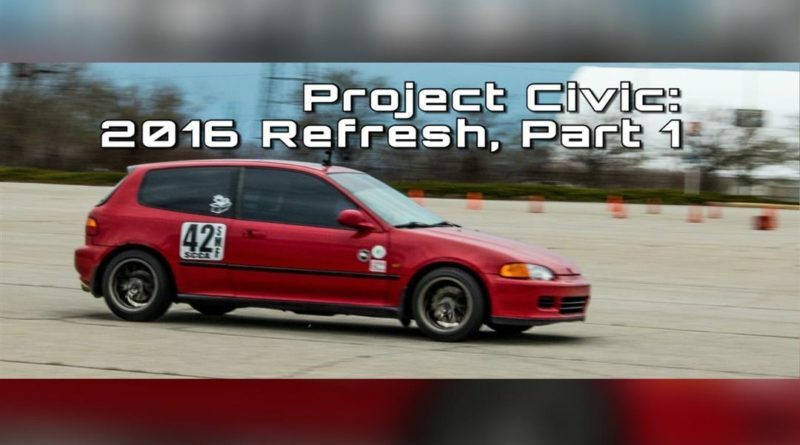 The Civic Si was equipped with a front sway bar but no rear. With the existing suspension, I needed something to help with the excessive body roll. I didn’t want a huge 21mm rear bar like the ITR. Eibach offers a kit that seems to fit what I was looking for. 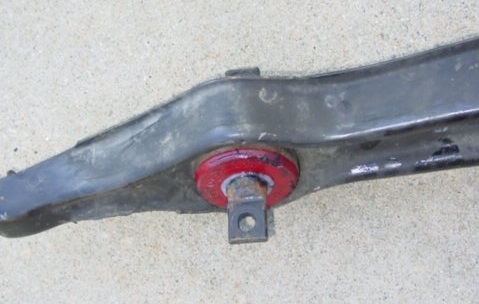 The stock front bar is 20 mm and the Integra’s rear sway bar (if I were to chose an OEM solution) is 14 mm. Eibach’s kit includes a 26mm front bar and a 17mm rear bar. Since I did not have a stock rear sway bar, I needed to pick up the hardware necessary for the installation. In this case, I needed new rear lower control arms, sway bar mounts and end link hardware. 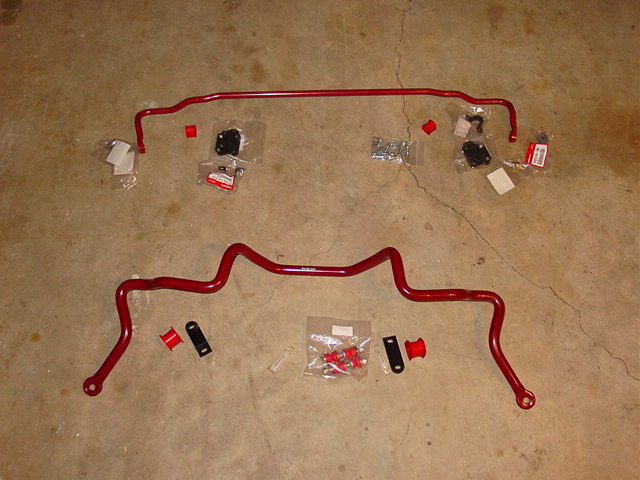 Eibach’s Integra/Civic sway bar kit plus the additional OEM hardware necessary to install the rear bar. The installation is tedious, but something that can be accomplished within a few hours. I cover the details of the installation in this write-up. Before I could install the rear bar, I needed to replace the rear control arms. This was an excellent opportunity for me to finish swapping out the rear bushings. I also ordered energy Suspension’s rear trailing arm bushings since they were not included with the full set. With all of the bushings replaced, that can be replaced, and the rear sway bar installed, the rear suspension was finally up to my expectations. 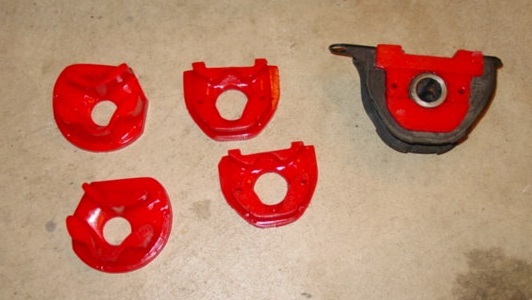 The new control arms, with sway bar mounts, are loaded with new bushings and ready for installation. 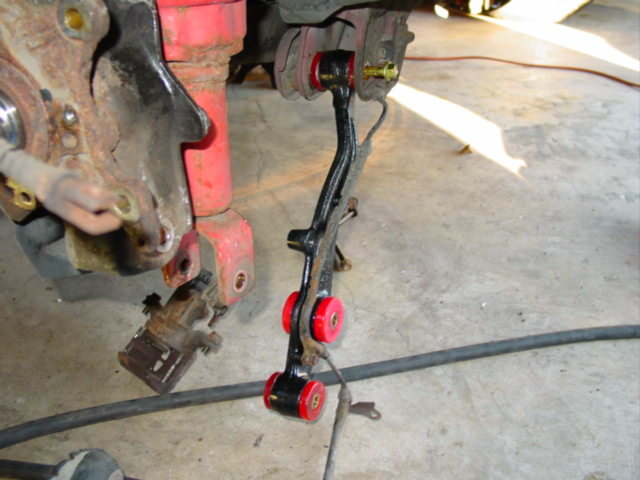 The rear trailing arm bushings are not part of the Energy Suspension package. I had to buy it separately. Rear sway bar installed with OEM mounts. Even with my homemade poly urethane torque mounts, I was still experiencing excessive engine movement. My homemade engine mounts were doing well but I wanted to try Energy Suspension’s torque mount set. The low cost of the set makes it worth trying even if I didn’t like them. I decided to reuse one of my home made torque mounts along with one ES torque mount and rear engine mount bushings. The feel of stiffening all three mounts is excellent! Take off is much smoother. The only disadvantage is a fair amount of rattling in the interior at lower rpms. Leaving out the rear torque mount will still give you a substantial advantage but without the excessive interior rattles. Although my window weld home made engine mounts worked out well, I wanted to try out Energy Suspension’s option. The cost is only a few more dollars than the home made version. The new bushing and sway bars made an excellent addition to my Civic. In my opinion, the ride quality improved with the poly urethane bushings. Sharp bumps can be a bit harsh but for the most part, the improved control of the suspension arms made typical road imperfections much smoother. Since sway bars are only evident during cornering, there is no impact to ride quality. The sway bars really made a difference during autocrossing! The reduced body roll helped maintain the front contact patches which in turn allows my Quaife to work more effectively. 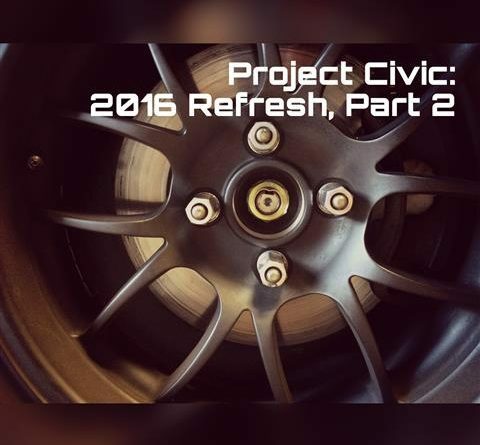 In my next installment of Project Civic, I will share my experiences with the upgraded suspension and extra power from the built engine. 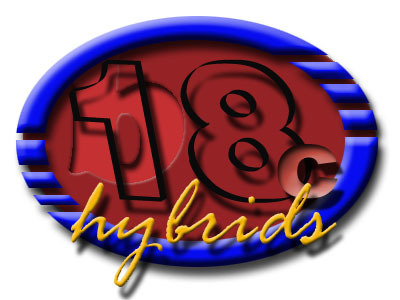 Your source for do-it-yourself automotive performance! 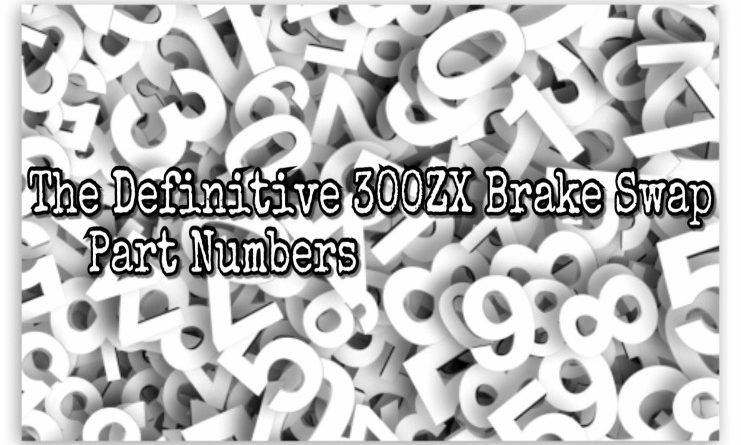 Note: All procedures original to this site are of my own, or fellow car nut's, experience. I will not be held responsible for any malfunctions due to your own modifications or maintenance after having followed instruction from this site. Occasionally, I have used information and pictures from other sites. Typically, with the consent of the original author. If I am breaking any laws here on my web page, and you know about it please notify me through my contact page and report your findings. Copyright © 2019 importnut.net. All rights reserved.